A feature in the tank war of the Eastern Front, the Ju87 G-2 Stuka found a new role as a “tank buster” weapon against the masses of Soviet armor. Before 1943, the Stuka played a crucial role as a dive bomber during the German blitzkrieg. Under the advice of seasoned Stuka pilots, the G-2 variant was armed with two 37mm FlaK 18 guns with tungsten carbide armor-piercing rounds as a temporary solution until more antitank vehicles could be constructed. Deployed at the battle of Kursk, the Stuka helped support German armor by destroying hundreds of Soviet tanks and armored vehicles. 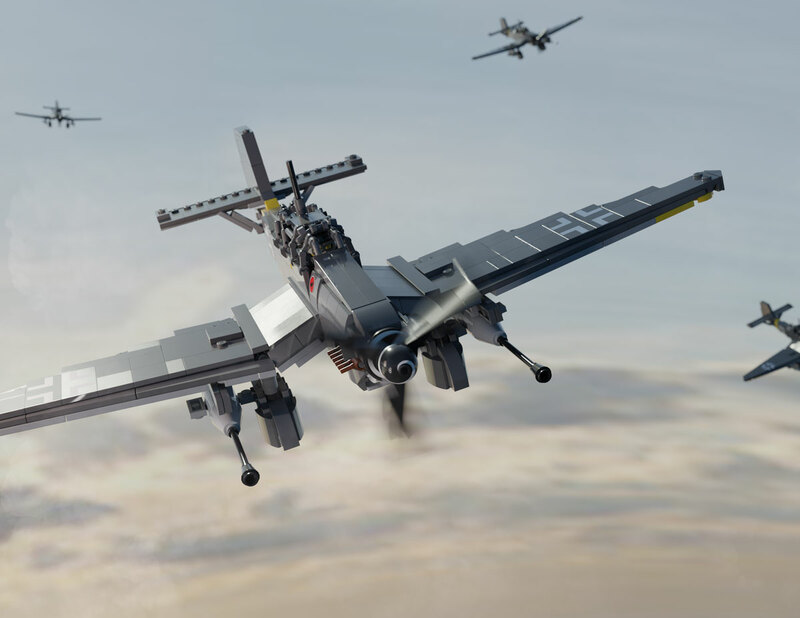 The Brickmania Ju87 G-2 Stuka features the “tank buster” variant of the iconic German aircraft. This updated model has key details seen on the real aircraft including longer wings, movable flaps, newly-designed canopy, and detailed cockpit. This 1944 G-2 variant also includes the “less chunky” wheel covers, quoting designer Cody Osell. Also featured is the nose spiral, printed elements, high-quality sticker sheet, engine exhaust pipes, and two BrickArms® short air-cooled barrels. There are also two German pilot minifigures to crew your new Stuka.